whether that because of the location or the composition. I had this image in my mind for months, and there was only ever going to be one model that could match my idea. This is my favourite image i have taken to date, Shot in an abandoned millionaire mansion in the UK. This was taken on a recent trip to Italy, in a stunning Villa that looked like it had been forgot about. The room this was taken in was one of the most stunning rooms i have ever seen in a abandoned building. This one is a definite ‘one-of-a-kind’ type of shot, taken in an abandoned asylum in Italy. 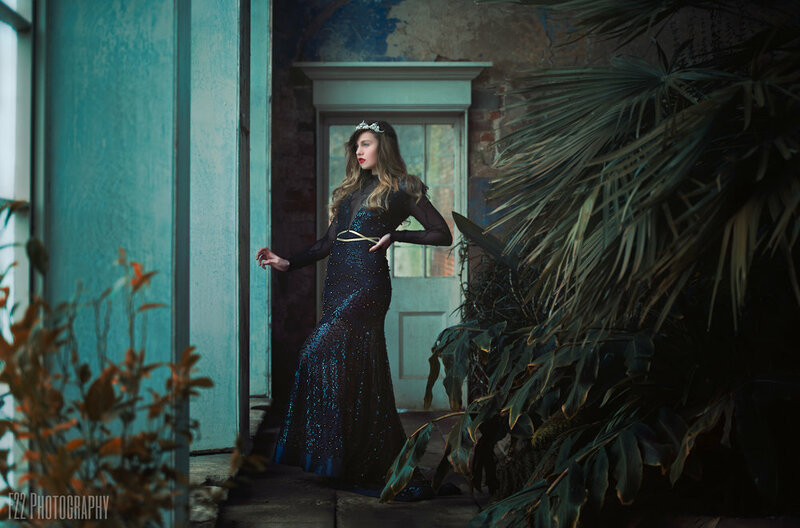 A stunning shot, taken in an abandoned orangery in the UK. I love this shot, the pose, the dress and location works really well. I absolutely love this shot, i had a plan to shoot on a train but once we managed to get on the train we soon realised that there was no room to shoot what i had planed. So we came up with a new idea on the spot and it turned out incredible. Set in an abandoned train in the UK. Another ‘one-of-a-kind’ shots, its not everyday you find yourself in the abandoned bedroom of a old doctor who used to work in a massive asylum in Italy, with a model as good as Kerry who is willing to just do what it takes to get the shot. The theme for this shot someone who has totally lost their mind and has driven themselves insane….